The North American Cashmere Goat is a dual purpose animal, providing both fiber and meat products. 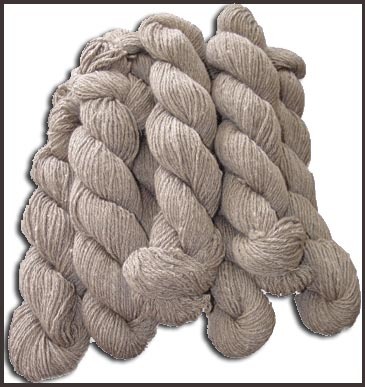 We have 100 percent cashmere yarn in stock. Fiber diameter is 18.5 microns or less. Individual fibers should exhibit three-dimensional irregular crimp along the entire length. Fiber length is measured in its relaxed (crimpy) state, and must be no less than 1.25 inches (32 mm). Fiber Standards. Many of our goats have long guard hair. Guard hair should be coarse enough to be easily differentiated from down fibers. Yak fibers are shorter than goat and is a fiber that we are getting to know.